It is amazing how you can do fun and interesting science experiments from your very own kitchen. With Easter just around the corner, food coloring came to mind so I decided to let the kids have fun using food coloring and mixing it together to make different colors. My kids love learning about them. So I decided that we would learned about dogs this week . My kids were surprised to learn that dogs can have jobs too. We found out that the average life span for a dog is around 10 to 14 years and that there is said to be around 400 million dogs in the world and that the domestic dog has been one of the most popular working and companion animals throughout human history. Also dogs perform many useful tasks for humans including hunting, farm work and security as well as assisting those with disabilities such as the blind. This my kids thought was the coolest! 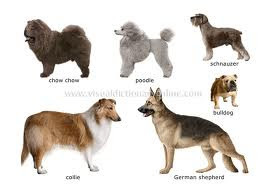 We also learned in our research that dogs have superior hearing than humans, capable of hearing sounds at four times the distance and that dogs have a remarkable sense of smell, they are capable of differentiating odors in concentrations nearly 100 million times lower than humans can.